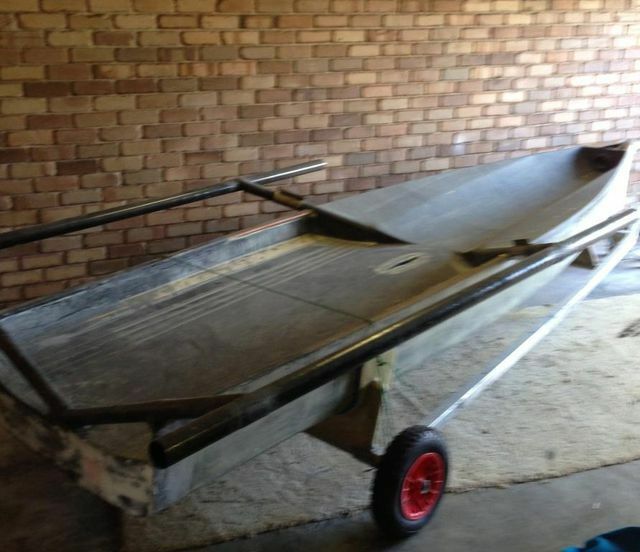 Also included is a boat trolley AND ?as new? 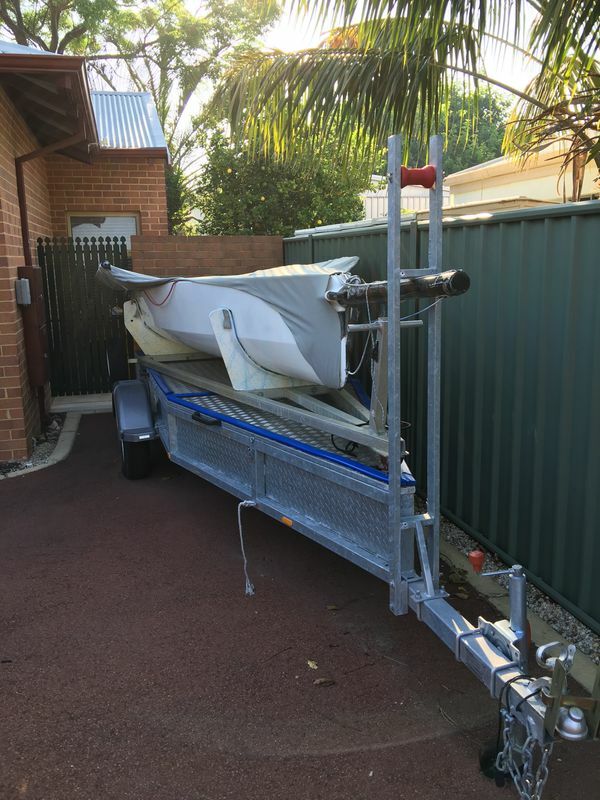 registered road trailer that the trolley locks onto. 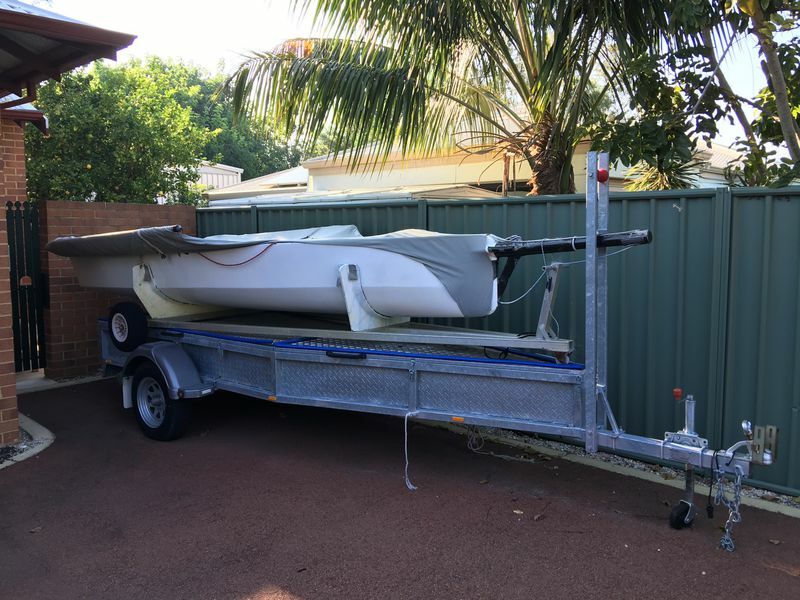 The trailer on its own was ~$5,000. 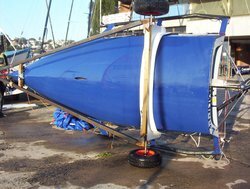 Plenty of spares including replacement sheets / halyards and control lines all new. 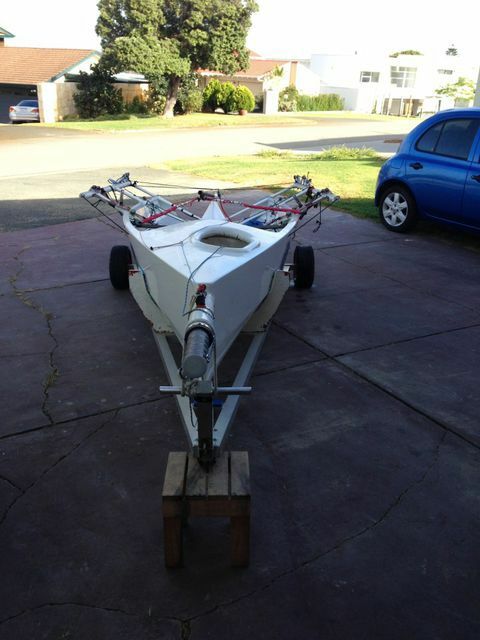 Come take a look and make us an offer, MUST BE SOLD. 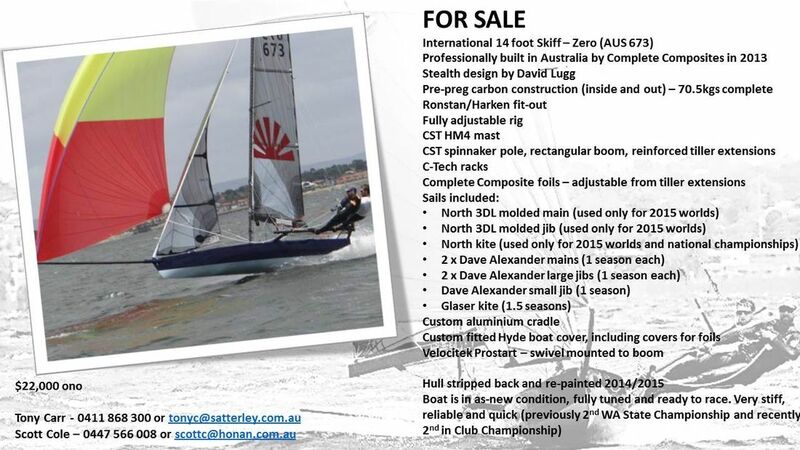 Contact Steve on 0408 109 606 for more info. 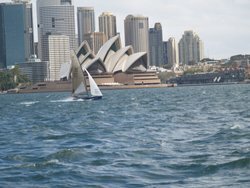 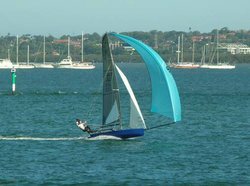 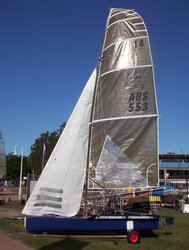 The Beiker 3 design hull was built in 1999 by Dave Alexander in Adelaide for the Melbourne Worlds and was campaigned both in SA, VIC and NSW. 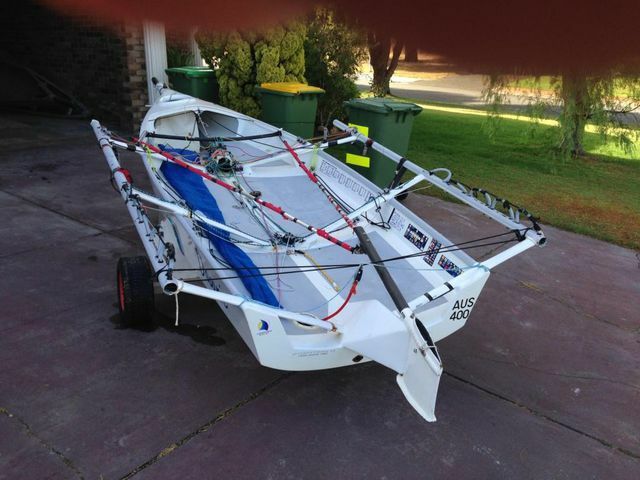 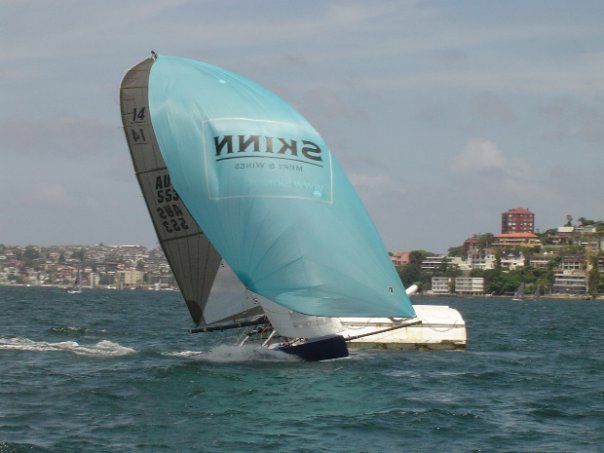 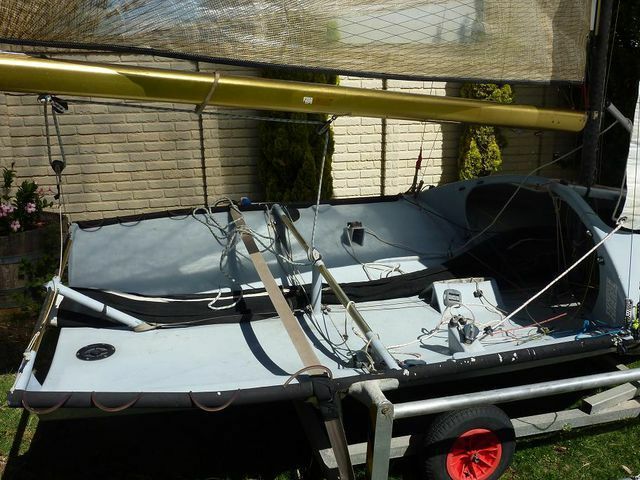 It was lightly used from 2007 to 2010 as the owner was campaigning other skiffs. 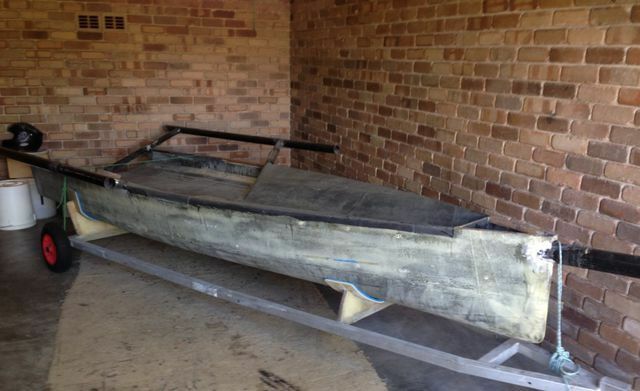 The boat has not been used since June 2010 and has been in covered storage since then. 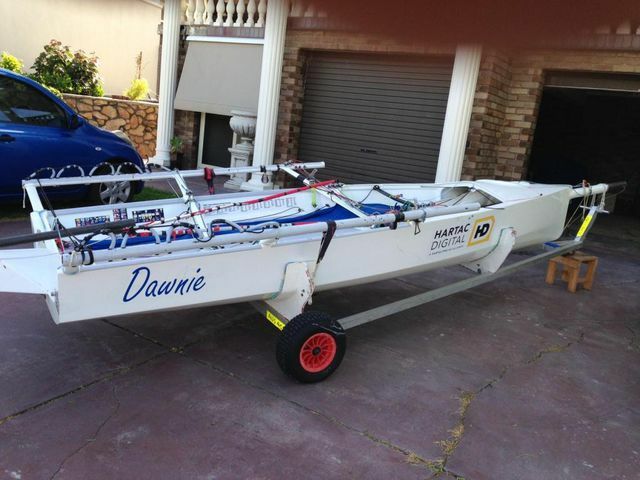 The boat comes complete and ready to sail on stainless steel beach dolly and road trailer with spare tyre. 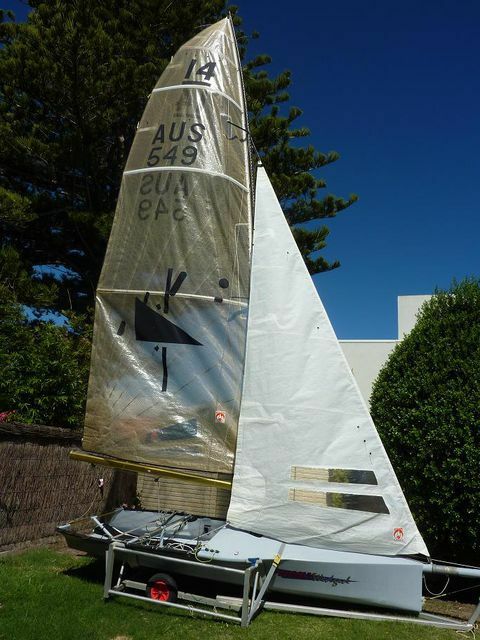 Asking price is $4000 AUD or nearest offer. 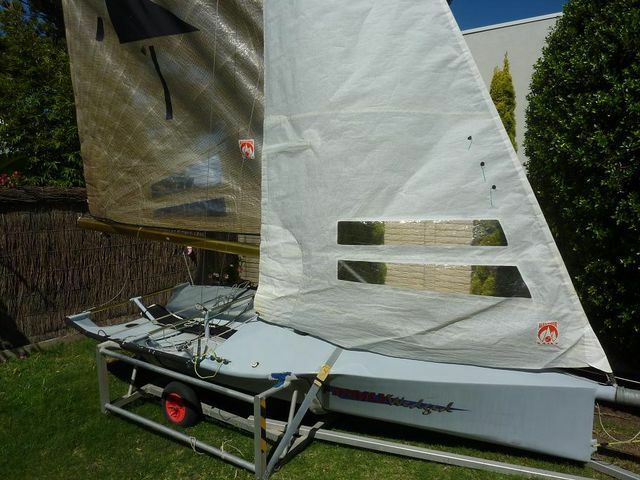 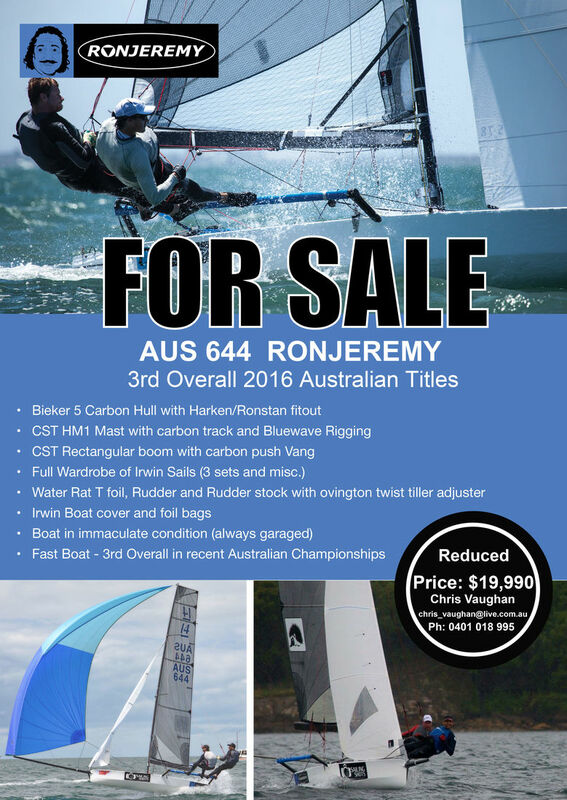 Bieker 3 For Sale AUS 400 Only $5,500!